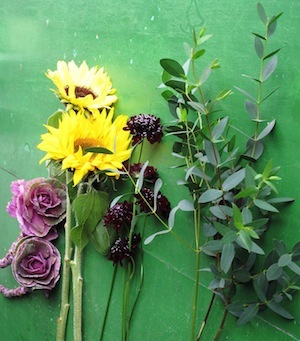 Watch this five-minute lesson video that tags classic primary and secondary color rules to inspire and really simplify the art of designing a bouquet: Informative – and lovely. Debra Prinzing is a Seattle- and Los Angeles-based outdoor living expert who writes and lectures on gardens and home design. She is a frequent speaker for botanical garden, horticultural society, and flower show audiences. Debra is also a regular radio and television guest. She is the author of six books including the Garden Writers Association Gold Award-winning "Stylish Sheds and Elegant Hideaways" (Clarkson-Potter/Random House, 2008). 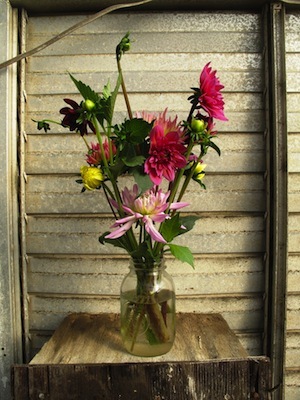 Her newest book, "SLOW FLOWERS: Four Seasons of Locally Grown Bouquets from the Garden, Meadow and Farm," features Debra's floral designs, writing, and photography.